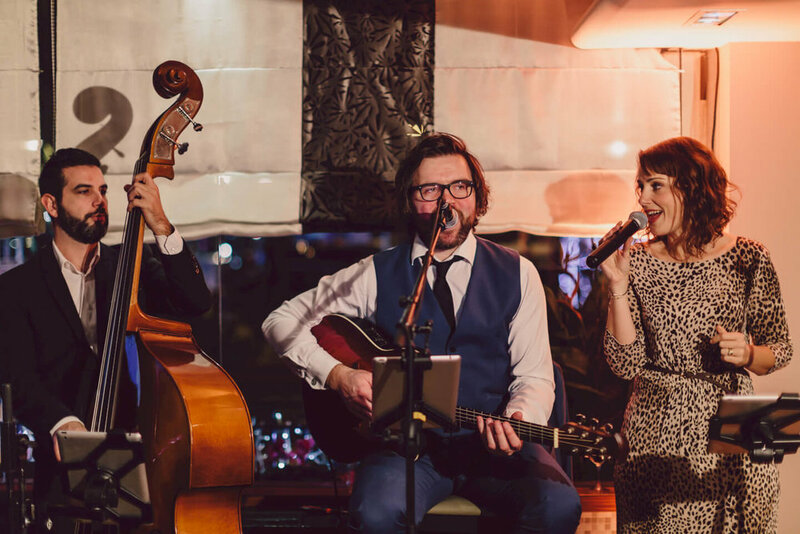 This intimate yet compelling trio features male and female vocals, accompanied by acoustic guitar and complimented with the addition of the double bass. Featuring an eclectic repertoire of originally crafted arrangements of well known songs old and new. Creating the perfect atmosphere during a cocktail reception or during dinner.